Continuously variable speed control for low and constant speeds even at high contact pressure. 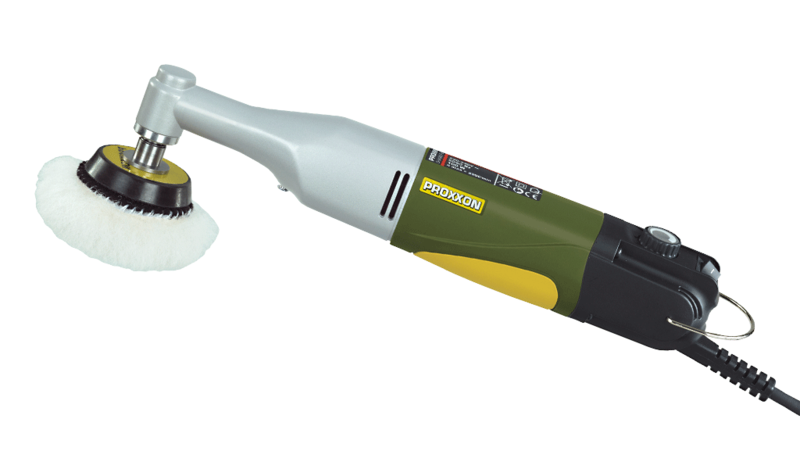 For perfect surfaces even in tight spots: For finishing of blank surfaces, cleaning, rust removal, for the "finishing touches" after varnishing. 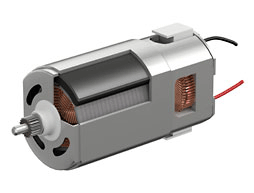 Balanced special motor, powerful, quiet and long-lasting. Quiet planetary gear in die-cast aluminium housing and continuously variable speed control (full-wave electronics) for low and constant speeds even during high contact pressure. Main housing of glass-fibre reinforced POLYAMIDE with soft component. 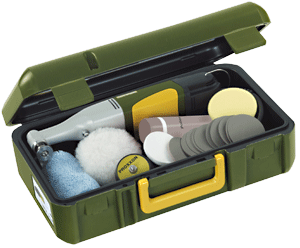 Securely stored in stylish case made of high-grade polypropylene with original equipment for immediate use. Rubber backing disc with hook and loop fastening, polishing sponge (medium hard), lambswool polishing disc, polishing felt for metals and non-ferrous metals (medium hard), 12 sanding discs K 2000 and NIGRIN polishing emulsion (75ml) as well as a microfibre cloth. 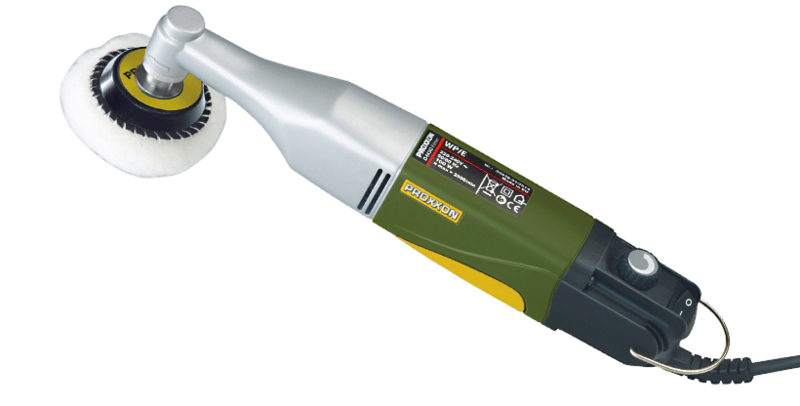 110 - 120 Volts, 50 Hz, 100 Watts (1/8 hp), 800 - 2,500 rpm. Length: 270 mm (10.6"). Weight: 720 grams (1.6 lbs). Insulated to class 2. Packed in storage case, including extensive original equipment for immediate use.